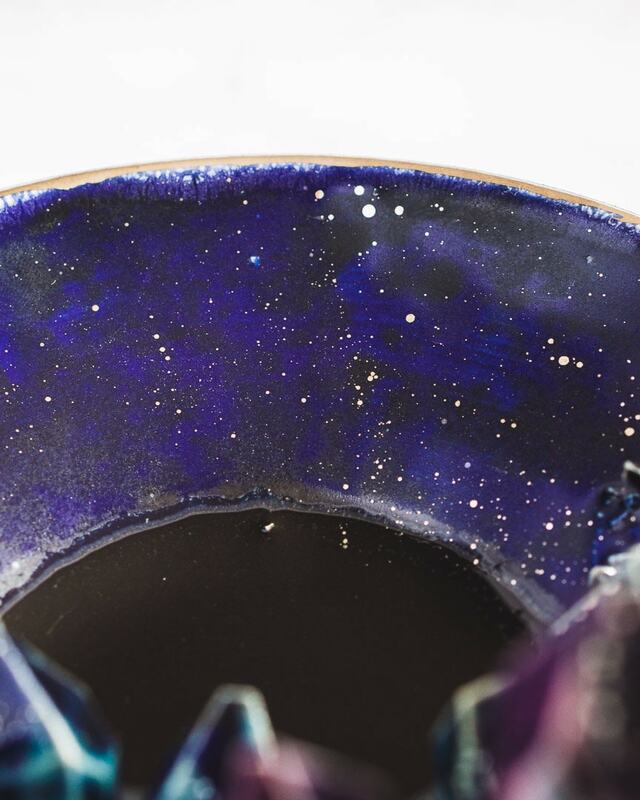 This Galaxy inspired piece is perfect for diffusing essential oils but also makes the perfect holder for paintbrushes or those beautiful wild flowers you just picked on your hike! 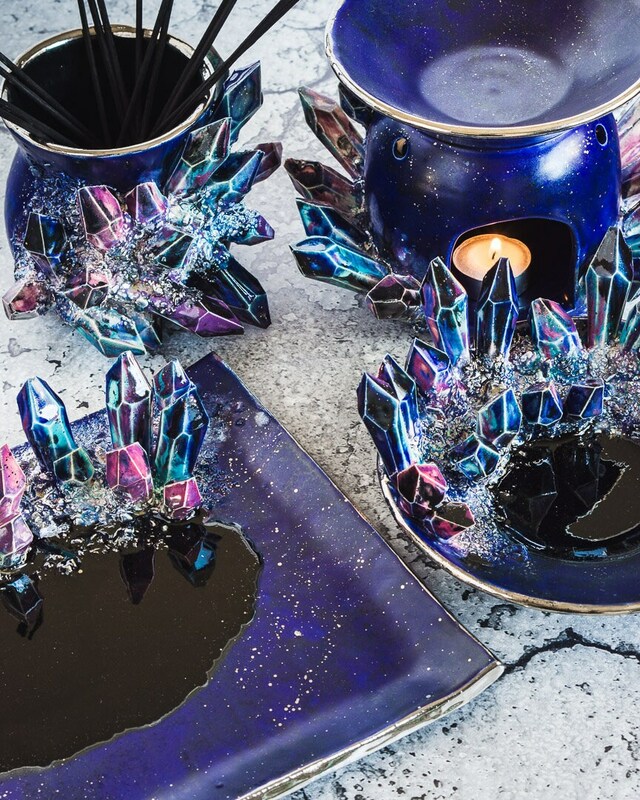 Over 7 different glazes are used on the crystals alone to reach maximum galaxy effect, with platinum stars sprinkled on the back of a satin blue-black finish! 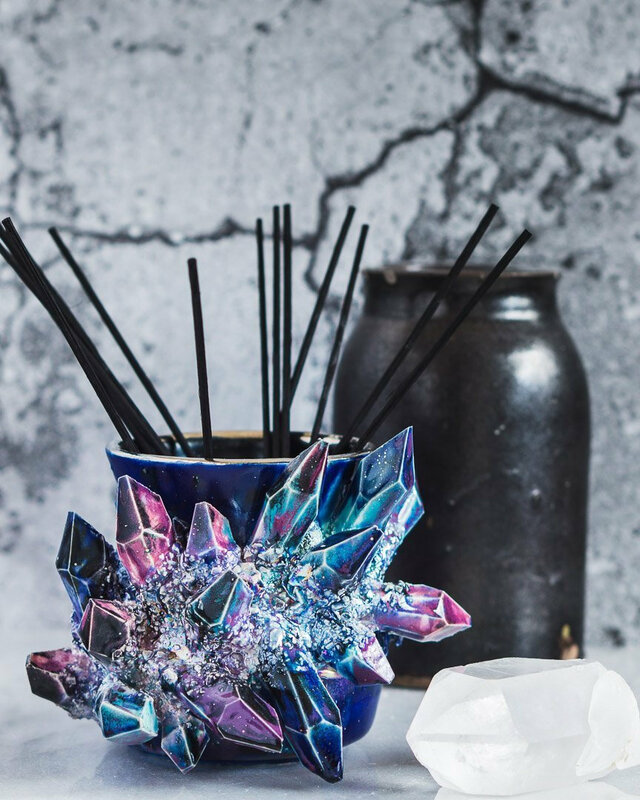 This item was previously listed as a Reed Diffuser- if you would like the reeds to be included, please mention this in the notes during checkout. Otherwise, the piece does not include bamboo reeds. 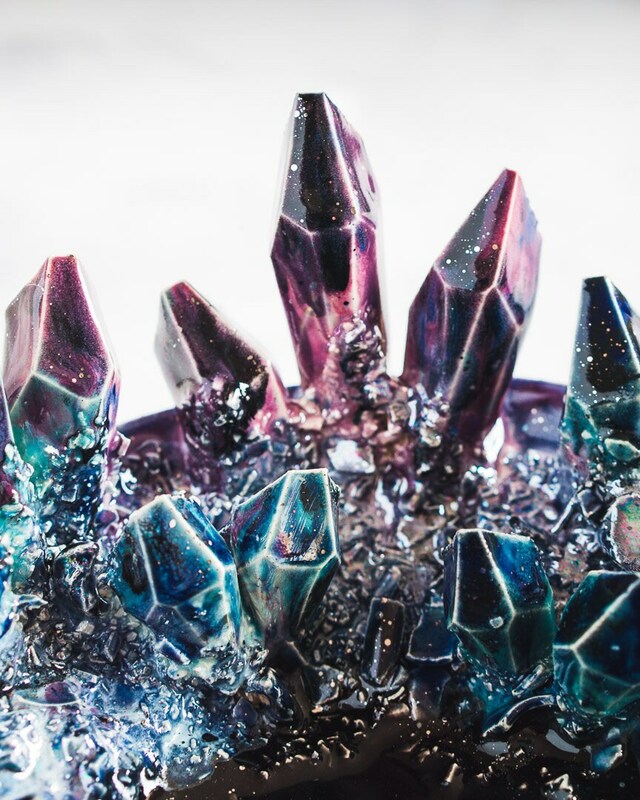 Every piece I make is wheel thrown and each crystal entirely hand carved out of porcelain, making it one-of-a-kind! 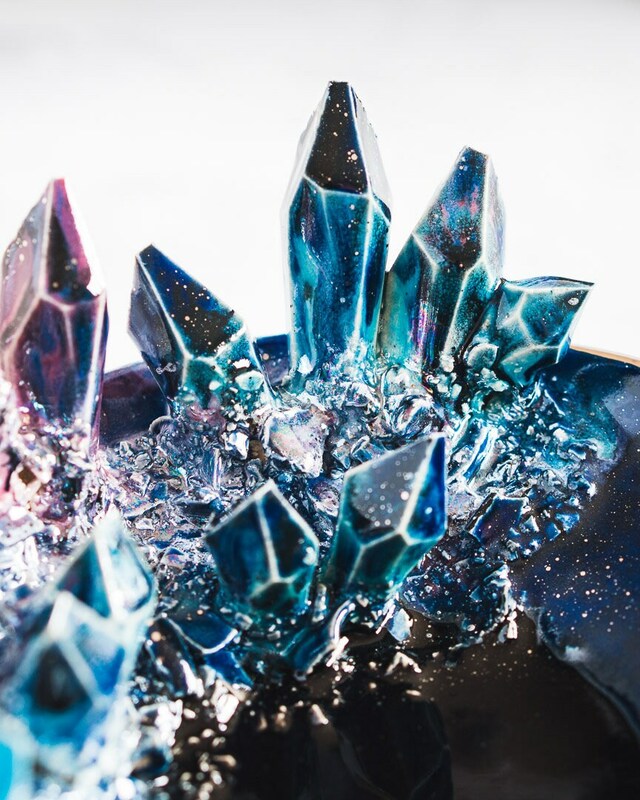 Fantastic artwork and let me customize the vase in full description via messages, planning on buying more from this magical shop again! The colors are glorious and everything is awesome. Well packed for a safe arrival! Wow. wow. wow. I cannot even fathom how magnificent this is. When I opened the package and held it in my hands my jaw DROPPED! I will love and cherish this piece forever and can’t wait to order more! This reed diffuser functions beautifully as a little vase in my living room. Incredible work, Collin!